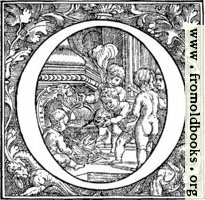 A Decorative initial letter “O” used as a drop cap on the first page of this famous book. 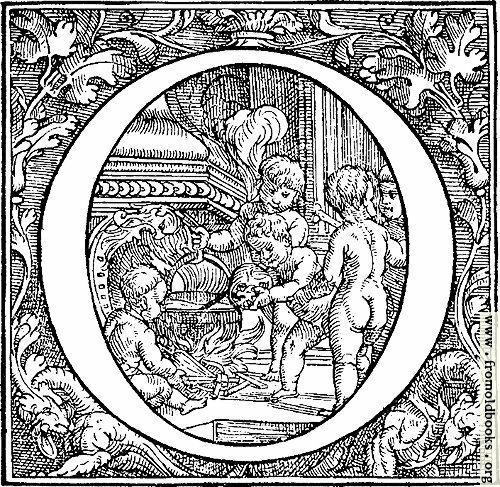 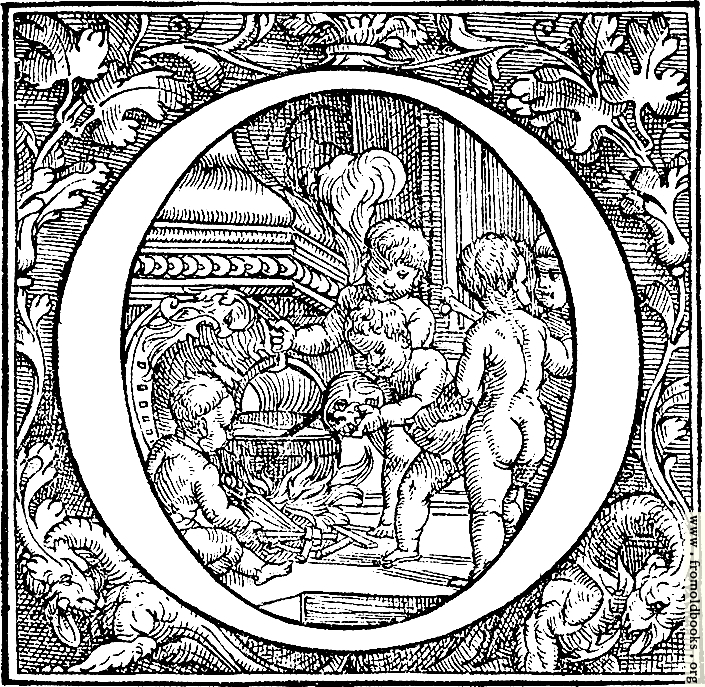 The outer border around the outside of the letter “O” has oak leaves and dragons; inside the “O” we see naked children (putti; they do not have wings) apparently making soup from bones and other items, in a large pot over an open fire. One of the children sits in the foreground fanning the flames with a bellows. 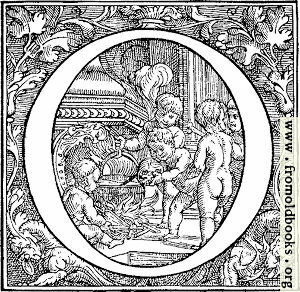 Image courtesy of the U.S. National Library of Medicine; it is from their Vesalius exhibition.